NHS Greenwich used the data from the Active People survey & Transport for London survey to identify that there were low levels of physical activity in Greenwich. They therefore wished to run a physical activity engagement programme to increase participation within the borough, with a particular focus on sedentary populations (those doing less than 1 x 30 minutes per week). NHS Greenwich asked Make Sport Fun to project manage the physical activity engagement programme. We set up an Engagement Campaign. We used Sport England’s segmentation mapping tool along with other data to identify which segments to focus on. We identified 10 segments with low activity levels, which were later grouped into 5 groups with similar characteristics. We agreed objectives for the engagement programme. 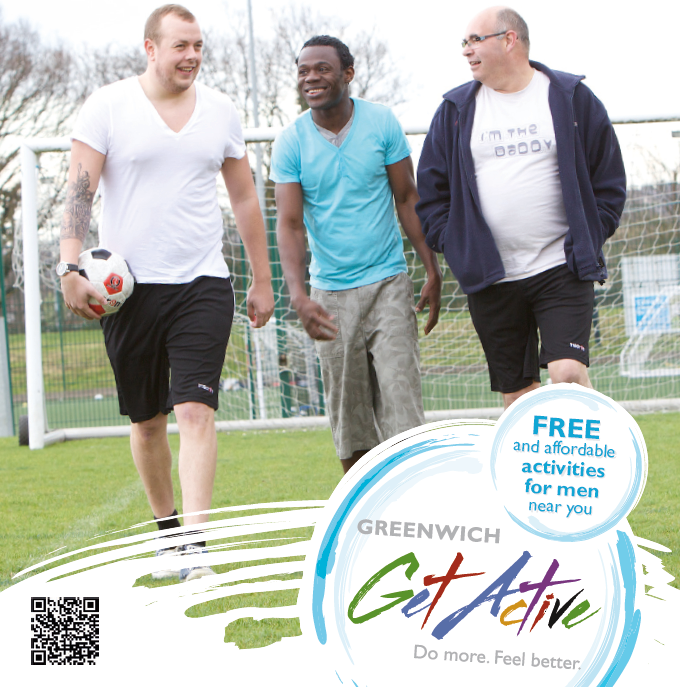 To raise awareness of Greenwich Get Active with all adults, children and young people using a variety of communication channels. To raise awareness of the range of physical activity opportunities in Greenwich. To sign up at least 10,000 individuals to the programme; 50% of sign-ups (5,000) to try out an activity; 70% of those who tried something (3,500) saying they are still active 6 weeks later. To target 10 priority market segments focussing on those who are inactive and those from lower socio-economic backgrounds. To offer a choice from activities that are available locally, with a particular focus on those most popular with our target audiences, with an incentive of ‘first session free’. To retain regular participants at six weeks and in the longer term. We built a database of local activities. This helped us find people somewhere to get active. We contacted activity providers and asked them to offer their first session for free in exchange for our campaign vouchers. We built a website which allowed people to find where to get active and download a voucher. We set up a Customer Relationship Management system (CRM) so we could track who had registered, what activities they were interested in, and what had been said to whom. We made it easy for people to register by setting up a shortcode text number, 0800 number, campaign email address, inbound call centre and freepost address. We ran an 8 week mobile roadshow prior to and during the Olympic and Paralympics Games in areas with high footfall such as high streets and in front of supermarkets. We spoke to people about the benefits of activity and let them know about free session vouchers and local activities. We attended local events, spoke to people, gave out information and got them interested in what we were offering. We visited local schools and even took along a Paralympic athlete from Team GB as inspiration to get involved. We designed and distributed leaflets and posters via community centres, businesses, GPs and pharmacies. We worked with a wide range of partners such as community groups, council departments, pharmacists, GPs, nurses and Sure Start centres. They are crucial in adding credibility and helping us to spread the word. We wrote a launch article and follow up case studies to get coverage in the local newspapers. We built up a following on Facebook and Twitter and posted daily content about getting active, and encouraged our followers to spread the word to their networks. We researched terms that were popular amongst our community and optimized our website for those terms. Specially trained Greenwich Get Active advisers undertake brief interventions with individuals using motivational interviewing techniques. They help people find an activity that they are interested in, and wherever possible they give them a first session free voucher. People try one of over 1000 different activities offered by over 300 local providers, including structured sport and exercise, personalised travel planning and independent walking and cycling opportunities. Whenever we found that there was demand for an activity that wasn’t available locally we’d work with local providers to put something on. For instance we found there was a large demand for pole dancing, so we found an instructor, a venue, set up a class and promoted it to everyone who had shown an interest. Follow up calls are made at 2-4 weeks, 3, 6 and 12 months to support individuals. Our Customer Relationship Management (CRM) system allows us to track who’s been talked to, what was said and to evaluate the effectiveness of the programme. The engagement programme started in July 2012, and we’ve made over 30,000 brief interventions; handed out over 10,000 promotional items; and signed up over 3,300 people. Feedback across the board has been very positive, indications from demographic information gathered suggest the target audiences are being reached successfully. Based on previous projects we expect that over 50% of these people will become more active. Because of the success of the project it has been presented as a case study at the British Heart Foundation physical activity conference, National Social Marketing conference and the International Social Marketing Conference.